This arrived in our in-box from the folks at IDW: “In conjunction with Activision, IDW Publishing is proud to announce the first-ever Skylanders comic-book series, penned by renowned comic-book writer Ron Marz with Mike Bowden and David Baldeon as lead artists. In the world of video games, Skylanders is a global phenomenon and the best-selling kids’ game franchise since its launch in 2011. Now fans have the opportunity to follow the adventures of all their favorite characters from Skylands through the magic of comic books. 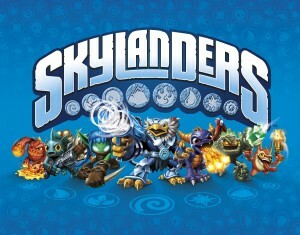 The first issue, a prequel to the Skylanders Trap Team™ storyline, actually provides fans an inside look at where some of their favorite Skylanders came from, and even gives them a first look at a few all-new characters from the upcoming game.” There’s lots more background information at Comic Book Resources.